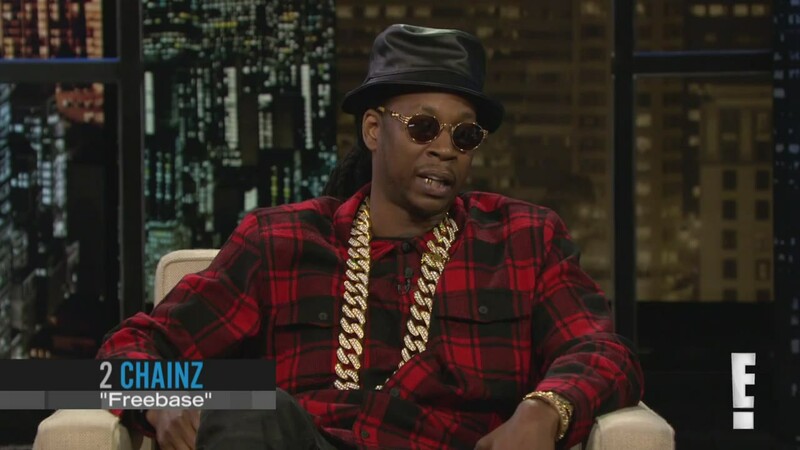 Rapper 2 Chainz was on a NYC promo run for his recently released EP, FreeBase and stopped for a brief visit with Chelsea Lately on E! After joking a few moments about his probation and real legal prescription to certain liquid purple substance, Tity Boi discussed his basketball career in high school. Chelsea used that as a nice segueway and asked him whether he would play for Donald Sterling’s Los Angeles Clippers. Chainz said there was no excuse for the taped racist conversation last month, but also mentioned that he and many others have said things to their friends privately and they’re lucky that didn’t end up on TMZ. Chelsea went to ask whether he likes being recorded without his consent, and she confessed that she hates it, especially if she was being taped for drug transactions. Watch more from the conversation.